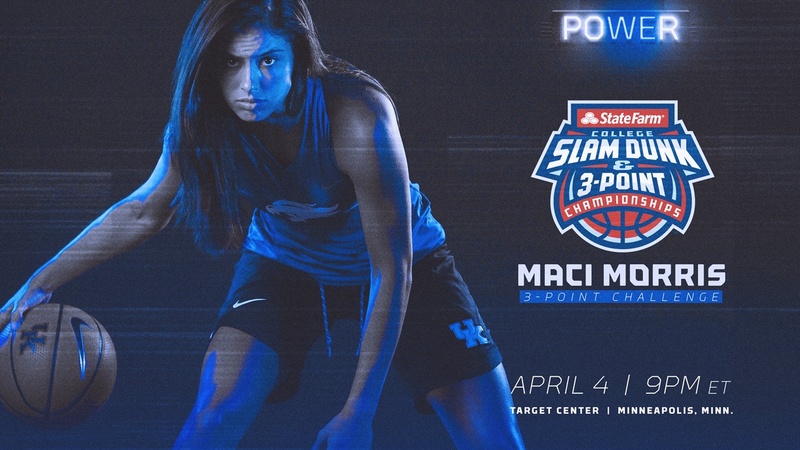 Kentucky’s Maci Morris will participate in the State Farm 3- point contest at the Target Center in Minneapolis as part of the Final Four this week. Morris is the best 3-point shooter in Kentucky women’s basketball history and gets to show off her skill in front of a national audience. You can watch her tonight on ESPN at 9 p.m. ET. Maci Morris, a native of Bell County left her mark on the Kentucky basketball program. She made 75 3’s in her senior year alone, averaged 15.1 points, and was 45.2% from the long range, where she sits first in the SEC and sixth nationally. She was 6th all-time scoring with 1,692 points at Kentucky and knocked down 252 career three-pointers. Morris received several awards this season and is currently one of five national finalists for the Ann Meyers-Drysdale Award. Morris was named an All-Sec First Team, All-SEC Second Team, and SEC Community Service Team member. She was also recently named a finalist for WCBA All-America.